(i) A pass in 10+2 Standard or 12th class from Recognized University /Board of School Education Board of Secondary Education/National Institute of Open Schooling (NIOS) /Open universities recognized and affiliated to NIOS with English as a compulsory subject. (i) abswe. There are no bonus marks for higher education. (iii) Candidates who have passed 12th standard/10+2 in vocational courses or Job oriented course are not eligible. (iv) Having Typing knowled.ge and computer knowledge upto the required standard is desirable. (v) Sports qualification as mentioned at Para 8 below. (ii) Candidates with higher qualification are also considered but they have to fulfill the requirements mentioned in sub para (i) ·above. There are no bonus marks for higher . education. (iii) Sports qualification as mentioned at Para 8 below. (i) A Pass in Matriculation/ITI from a recognized Board/ University. (ii) Candidates with higher qualification are also considered but they have to fulfill the requirements mentioned in sub para (i) above. There are no b9nus marks for higher · education. (iii)Sports qualification as mentioned at Para 8 below. (b) Age for the vacancies of Multi-Tasking Staff: 18 to 25 years as on 30.01.2018 (Last date of receipt of Applications). Selection of candidates will be made on the educational and sports qualification and subject to fulfillment of other prescribed conditions. The most suitable and fit candidates will be considered. Selected candidates have · to compulsory participated in the circle team during All India Postal Tou1naments for specified years by the department. The most suitable and fit candidates will be considered. 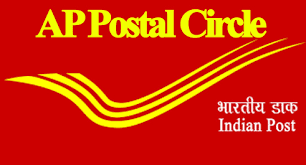 Selected candidates have · to compulsory participated in the circle team during All India Postal Tou1naments for specified years by the department.